NEW DELHI: Congress MP Shashi Tharoor said here on Friday that Rahul Gandhi shall be the Prime Minister if the Congress gets a majority in the upcoming Lok Sabha elections. However, if it fails to get a clear majority and the government is formed with alliances, then the Prime Minister will be announced after mutual discussion and deliberations, he told reporters on the sidelines of the Jaipur Literature Festival. "The party's present focus is on the 80 Lok Sabha seats in Uttar Pradesh. Priyanka Gandhi has been assigned the role of General Secretary in East Uttar Pradesh which will definitely make a positive impact on Congress during the polls," Tharoor said, adding that her role will be limited to Uttar Pradesh for now. 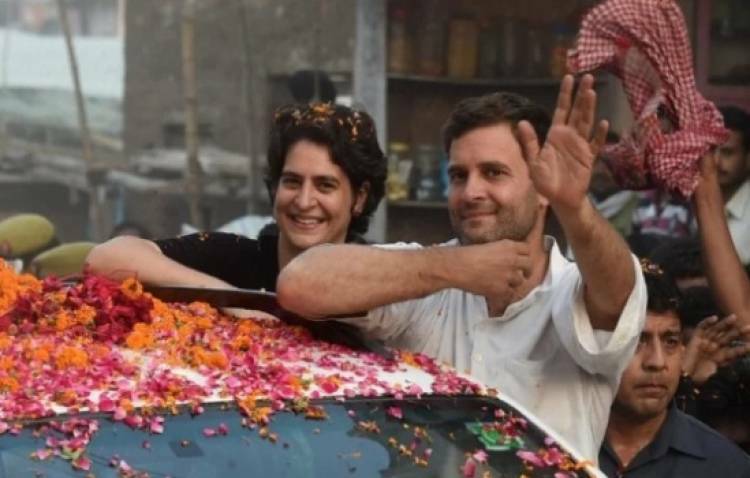 Congressmen are quite excited with Priyanka Gandhi joining the party and she has bright prospects in politics, he said. Tharoor said that loan waiver for farmers has become a must in the country in the present circumstances. The Congress is just putting a bandage on the farmers' wounds by giving them a loan waiver. However, it is a must to give them a breather on a larger scale, he said, adding that several announcements for the benefit of farmers will be made in the Congress' manifesto for the upcoming polls. டாக்டர் மோகன்'ஸ் "துல்லிய நீரிழிவு சிகிச்சை துறை"